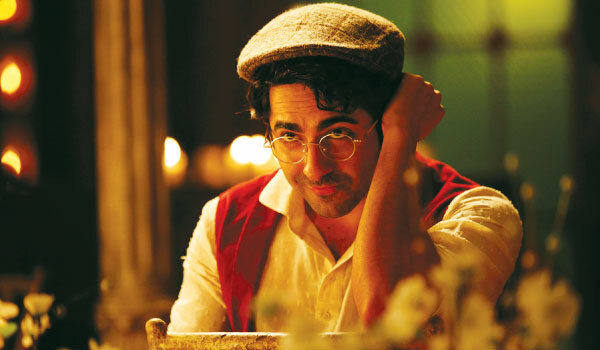 BEING unconventional comes easy to actor-singer Ayushmann Khurrana. Be it his choice of films like Vicky Donor, Nautanki Saala and now Hawaizaada or his single titled, Mitti Di Khusbooa��the actor has always been off-beat. a�?People like all things bizarre. Last year saw three unconventional filmsa��Queen, PK and Haider. Hawaizaada will be this yeara��s,a�? he begins. 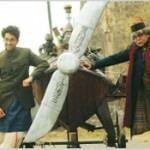 Departing from the usual urban North Indian character, Khurrana will be seen portraying the role of Shivkar Bapuji Talpade who is said to have made the first unmanned plane. a�?I am getting more regional here. We read a lot of books , had script readings and rehearsals before I could start relating to the character,a�? says the 30-year-old. Not many are aware of an Indian-made plane before the Wright Brothers. We did not, neither did Khurrana. a�?When I heard the story, I was tak en aback. I Googled the Marathi scientist who made the flying object in 1895. Apparently it flew for 18 minutes in front of 500 people. Freedom fighter Bal Gangadhar Tilak was also present at the event. I think this film is based on a conspiracy theory and has given Vibhu Puri enough fodder to make a fantastic film,a�? expresses Khurrana. A period drama, most of it is based on true events, with a few fictitious elements. a�?The challenge was to break down the body language and learn proper Marathi. I already know how to speak Urdu and Sanskrit, so picking up Marathi was not veryA�difficult. Plus, Ia��m a sucker for retro. I wish I was an actor from the 60s. I love Raj Kapoor and Dev Anand,a�? he says. The other task for the makers was recreating Bombay. a�?We had to build a new Bombay to get the feel of old Bombay. We scouted for places and finally found Gondal, in Rajkot district in Gujarat,a�? he says. As part of the research, Khurrana and Puri also met Talpadea��s extended family in Mumbai. a�?They are happy that, after 120 years, Talpadea��s story is coming out. I am glad the movie medium is bringing out these stories. If one line can be added to history text books about Talpade, it will be great.a�? Khurrana has also sung Dil e Naadan for the film. a�?The ghazal was originally written by Mirza Galib in 1855. The song is fresh and is my tribute to the superstar poet,a�? he says. As for choosing between acting and singing, he says, a�?I would always choose acting over music. Even in college, I chose the theatre club instead of music. I think acting is a wholesome experience. Acting helps me express myself better. Music is technical, while acting has no rules,a�? he signs off. 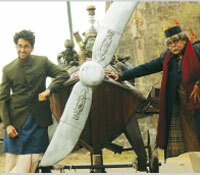 Hawaizaada is scheduled to release today.